Weighing in at just 28g and measuring less than 5cm 0n its longest side, The M-DAC nano is a multi-function portable headphone amplifier and DAC combination. Designed to enhance your portable music playback experience, the M-DAC nano transforms your digital music signal to a level of high-fidelity, wirelessly and on-the-go. Universally suited to in-ear or over-ear headphones of various impedance levels, the M-DAC nano, the M-DAC uses sophisticated digital filtering with upscaling to give an impressive sonic boost to whatever you’re listening to. It so simple to enjoy high-quality DAC processing of your digital music files, streamed from your phone, or any other bluetooth device, simply connect your headphones to the M-DAC Nano, then pair via Bluetooth to your phone. With volume control, track start/stop/skip and even wireless charging, you have a very clever little pocket size amplifier. 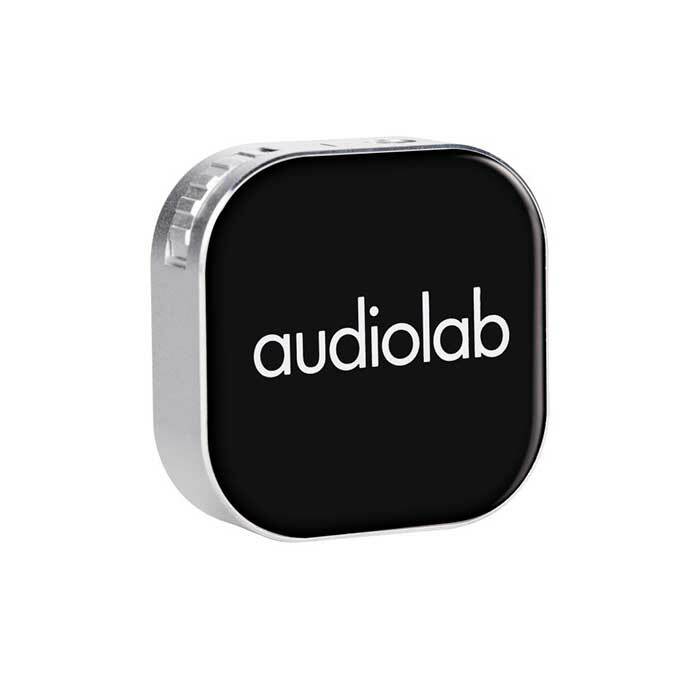 It has sufficient volume to connect to an Amplifier and use as an upsampling Bluetooth receiver.